PRIME Minister Pakalitha Mosisili is on the brink once again after opposition legislators yesterday successfully moved a vote of no confidence which looks set to bring down the seven parties’ coalition government that he leads. This is a road the Democratic Congress (DC) leader has travelled before as shall be shown below by the timeline of his tenure which has been curated from the archives of this and the sister Sunday Express publication. March 2015 – DC leader Pakalitha Mosisili is back as Prime Minister of Lesotho on 17 March 2015, exactly 33 months after handing over power to his All Basotho Convention (ABC) counterpart, Thomas Thabane. A coalition of seven parties namely the DC, Lesotho Congress for Democracy (LCD), Marematlou Freedom Party, Basotho Congress Party (BCP), National Independent Party (NIP), Lesotho People’s Congress (LPC) and Popular Front for Democracy (PFD) elect Dr Mosisili the country’s prime minister — signaling a spectacular comeback for the 69-year-old former university lecturer. Addressing a press conference at the BCP Headquarters in Maseru on 4 March 2015, Dr Mosisili said the alliance had elected him as prime minister, with LCD leader Mothetjoa Metsing as his deputy. MFP leader Moeketse Malebo, BCP leader Thulo Mahlakeng, NIP leader Kimetso Mathaba, and LPC leader Molahlehi Letlotlo were also present at the midday conference. Dr Mosisili’s nomination followed the announcement of the results of the 28 February 2015 general elections which once again produced a hung parliament, and effectively ended Lesotho’s first coalition government. The DC won 47 of the 120 parliamentary seats on offer, while the ABC clinched 46. Since none of the 23 contesting parties won the minimum 61 seats needed to form government on its own, the “Congress movement” banded together and formed government. March 2015 – Prime Minister-elect Pakalitha Mosisili says the past two years he was in the opposition afforded him the chance to learn from the “many” blunders of the coalition government led by All Basotho Convention (ABC) leader Thomas Thabane. 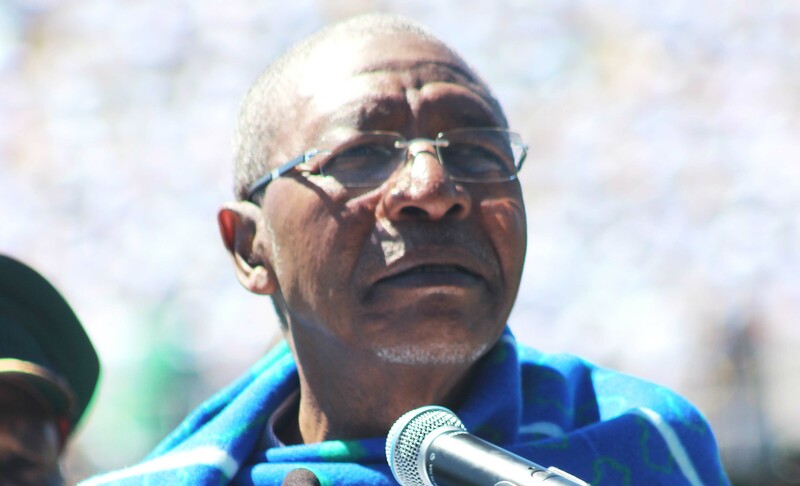 In an exclusive interview with the Lesotho Times on 12 March 2015, Dr Mosisili said he had watched “closely” the operations of the Thabane-led coalition government during the 33 months he was in the opposition, and was taking note of the “many blunders” being made in order to avoid repeating the same mistakes once he reclaimed the position he surrendered in June 2012. Dr Mosisili had been Lesotho premier since 29 May 1998 when he handed over the reins to an ABC, Lesotho Congress for Democracy (LCD) and Basotho National Party (BNP) alliance on 8 June 2012 after the DC had failed to win the requisite outright majority seats to remain in power. March 2015 – Democratic Congress (DC) leader, Pakalitha Mosisili, says he is now a changed man as he embarks on a five-year term as the country’s prime minister. Dr Mosisili made the announcement on Sunday while celebrating his 70th birthday at Lesotho Co-operatives College in Maseru. The DC leader was born on 14 March 1945 in Qacha’s Nek and Sunday’s belated celebrations were organised by the party’s youth league, and came two days before his inauguration as Lesotho’s premier. Dr Mosisili’s birthday celebrations started with a fun-walk from the party’s headquarters at Puma House in Maseru, culminating in a sports and entertainment festival at Co-operatives College Football Ground. According to Dr Mosisili, who was prime minister between 1998 and 2012, he was “humbled” by last month’s elections, whose failure to produce an outright majority winner prompted the DC to form a coalition government with six other political parties. Dr Mosisili told hundreds of guests attending the party that the result had made him change from an “arrogant leader” to a more amiable individual ready to work with other formations. June 2015 – Prime Minister Pakalitha Mosisili urges development partners not to interfere in Lesotho’s internal affairs. The Democratic Congress (DC) leader says Lesotho is a sovereign state whose governance is entirely up to Basotho. Addressing a media briefing in Maseru on 8 June 2015, Dr Mosisili said interference by the international community in Lesotho’s domestic affairs contravened the ‘non-interference in each other’s internal/domestic affairs’ principle, which he added was “important to sustain countries’ relations. “The person each country appoints to head its military and police is an internal matter that does not warrant external interference. The main principle guiding countries’ relations is that they should desist from interfering in each other’s internal or domestic affairs,” Dr Mosisili said. Dr Mosisili was responding to calls by Lesotho’s development partners, particularly the United States of America (USA), which was very vocal about the reinstatement of Lesotho Defence Force (LDF) Commander Lt General Tlali Kamoli. Lt Gen Kamoli was fired in August 2014 by former Prime Minister Thomas Thabane for alleged insubordination, resulting in political unrest and violence between the military and police, and a failed coup de tat. In a press statement issued on 27 May 2015 by the American Embassy in Lesotho, the USA said it was concerned no one was held accountable for the August 2014 political unrest, and that the Lesotho government had reinstated Lt Gen Kamoli. June 2015 – Prime Minister Pakalitha Mosisili said he was surprised by accusations that his government has not made any effort to reach out to three opposition party leaders who fled the country in May 2015. According to Dr Mosisili his coalition administration had tried to contact the leaders in South Africa where they are in ‘hiding’ for the purpose of “facilitating their safe return to Lesotho”. The main opposition All Basotho Convention (ABC) leader Thomas Thabane, Basotho National Party (BNP) leader Thesele ‘Maseribane and Reformed Congress of Lesotho (RCL) leader Keketso Rantšo, fled the country last month allegedly after being tipped off that there were plans to assassinate them. July 2015 – Principal Chief Khoabane Theko tore into Prime Minister Pakalitha Mosisili and his government as he addressed thousands of mourners attending the funeral of former Lesotho Defence Force (LDF) Commander Maaparankoe Mahao in Mokema. Chief Theko said the premier was to blame for the fatal shooting of Brigadier Mahao on 25 June 2015 by LDF members who had come to arrest him for allegedly being part of a mutiny plot in the army. According to Chief Theko, the decision by Dr Mosisili to reinstate Lieutenant General Tlali Kamoli as LDF commander in May this year was the reason why the nation was now bidding farewell to one of its favourite sons. Lt Gen Kamoli was fired by the then Prime Minister Thomas Thabane in August last year and replaced by Lt Gen Mahao, but Dr Mosisili nullified the promotion and dismissal after he regained power following the 28 February 2015 snap elections. Chief Theko said not only did this development “create problems” for Lesotho but it also embarrassed King Letsie III who had endorsed Dr Thabane’s decisions but was made to reverse them by Dr Mosisili. According to Chief Theko, it was also shocking to hear the LDF openly admit its members had killed Brigadier Mahao just outside his farm in Mokema. July 2015 – Prime Minister Pakalitha Mosisili asks the Southern African Development Community (SADC) Commission of Inquiry to make three “important” additions to its terms of reference. The 12-member probe team, which arrived in the country on 20 July 2015, had initially been tasked with investigating circumstances surrounding the death of former Lesotho Defence Force (LDF) Commander Maaparankoe Mahao outside his Mokema farm on 25 June 2015. Brigadier Mahao was fatally shot by LDF members, allegedly as he resisted arrest after being fingered as the ring-leader of a mutiny plot in the army. In addition, the SADC Commission, led by Justice Mpaphi Phumaphi of Botswana, was expected to “review LDF investigations into the alleged mutiny plot”. The review was expected to cover the “alleged kidnap of former LDF members and killing of members of opposition political parties”. The panel was also mandated to probe “the legality and manner of the removal of Lieutenant General Tlali Kamoli as head of the LDF in August 2014 and his reappointment in May this year”. SADC also mandated the Commission to investigate “allegations by opposition parties and civil society stakeholders that Lt Gen Kamoli’s reappointment had resulted in divisions in the LDF and led to political and security instability in Lesotho”. However, Prime Minister Pakalitha Mosisili has since written to SADC Facilitator and South Africa’s Deputy President Cyril Ramaphosa, asking him to amend the Commission’s terms of reference. September 2015 – Prime Minister Pakalitha Mosisili tells the Southern African Development Community (SADC) Commission of Inquiry into Lesotho’s instability that he recommended the reappointment of Lieutenant General Tlali Kamoli as Lesotho Defence Force (LDF) commander because he “absolutely” trusted him. Dr Mosisili was testifying before the nine-member commission which commenced its inquiry on 31 August 2015. Among other terms of reference the commission was mandated to probe was the legality of Lt Gen Kamoli’s removal as head of LDF in 2014 and his reappointment in 2015. It was also supposed to investigate allegations by opposition parties and civil society groups that Lt Gen Kamoli’s reappointment had resulted in divisions in the LDF and led to political and security instability. Dr Mosisili told the commission that Lt Gen Kamoli was “unlawfully” removed from office. “But other than that, I recommended the reappointment of Lt Gen Kamoli because I absolutely trust him. We operate on the basis of trust,” said Dr Mosisili. September 2015 – Prime Minister Pakalitha Mosisili appoints Lebohang Ramohlanka as the new Government Secretary (GS)—the first female to occupy the coveted post. Ms Ramohlanka replaces Mr Moahloli Mphaka, who is on leave pending the completion of negotiations for his exit package since his contract was supposed to expire in 2017. October 2015 – Prime Minister Pakalitha Mosisili accuses the Justice Mpaphi Phumaphi-led SADC Commission of Inquiry of losing the plot by failing to rein in witnesses whose testimonies were outside the agreed terms of reference. Addressing the Democratic Congress’s (DC) leadership conference in Maseru on 10 October 2015, Dr Mosisili said the commission’s “disappointing” conduct compelled him to write a letter to SADC Organ on Politics, Defence and Security Cooperation (OPDSC) chairperson, Mozambican President Filipe Nyusi. In the letter, the premier urged Mr Nyusi to “call the commission to order” so that it would “act within the scope of its mandate”. November 2015 – Prime Minister Pakalitha Mosisili establishes a four-member team to mediate in the infighting threatening to destroy the Lesotho People’s Congress (LPC). The team comprises Democratic Congress (DC) secretary general Ralechate ‘Mokose, who is also Water Affairs Minister, Lesotho Congress for Democracy (LCD) deputy leader and Defence Minister Tšeliso Mokhosi, Basotho-Batho Democratic Party (BBDP) leader and Senator Jeremane Ramathebane and a member of the Marematlou Freedom Party (MFP). Disgruntled LPC National Executive Committee (NEC) members in October 2015 wrote to Dr Mosisili demanding the dismissal of party leader Molahlehi Letlotlo, as Social Development Minister. Mr Letlotlo was accused of disrespecting the NEC’s decisions since his ministerial appointment in March 2015, criticising Dr Mosisili for “overstaying” in office, employing youths from the main opposition All Basotho Convention (ABC) in his ministry instead of LPC members, unilaterally dismissing senior party members, and insulting the LPC’s founding leader, Advocate Kelebone Maope, among other things. December 2015 – Prime Minister Pakalitha Mosisili declared that his government will not receive the SADC Commission’s report into the killing of former army commander Maaparankoe Mahao until the High Court has finalised Lieutenant-Colonel Tefo Hashatsi’s case challenging the inquiry’s legitimacy. Dr Mosisili made the announcement in Qacha’s Nek on 11 December 2015 as he introduced his seven coalition government partners during a public gathering at Pitso Ground. December 2015 – Prime Minister Pakalitha Mosisili says the Americans can withhold their aid to Lesotho if the funding comes with “unacceptable” conditions such as sacking army commander Lieutenant-General Tlali Kamoli. Dr Mosisili maintained his government will survive without American funding and insisted Lesotho is a sovereign state which does not accept outside interference. Addressing a public gathering organised by the Lesotho Defence Force (LDF) in Qacha’s Nek two days after the Millennium Challenge Corporation (MCC) Board indefinitely suspended funding to Lesotho citing the country’s poor governance, Dr Mosisili said the Kingdom would survive without the American government agency’s aid. January 2016 – In a week of high drama, the Southern African Development Community (SADC) descended with a heavy hammer on Lesotho, issuing an unprecedented ultimatum for the government to publish the Phumaphi Commission report and implement its recommendations. 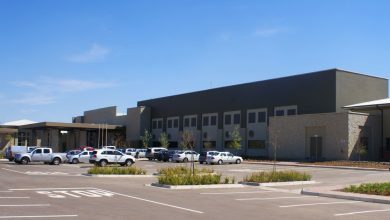 But while agreeing to release the report within the ordered 14-day ultimatum, a defiant Prime Minister Pakalitha Mosisili said on 20 January 2016 the Lesotho government would not be frog-marched into implementing all of the Commission’s recommendations as these were not legally binding. Addressing journalists in the capital on 20 January 2016, Dr Mosisili emphasised that only court rulings were binding but never recommendations of commissions. The premier said he would table the Phumaphi Commission report in Parliament within the 14-day deadline prescribed by SADC, but also warned that his government would edit out from the report any parts that threatened the country’s peace and security, if any are found, before making it public. Dr Mosisili’s decision to accept the report at a SADC double troika summit in Gaborone that week was a major climb-down from his earlier stated position that he would never accept the Phumaphi Commission report before the conclusion of a court case in which Lesotho Defence Force (LDF) Lieutenant-Colonel Tefo Hashatsi is seeking to nullify the entire Phumaphi commission and its findings. An equally defiant SADC stated in an unusually frank communique at the end of its double troika summit in Gaborone the same week that it was not bound by the Hashatsi court case declaring that, “any court decision taken against the Commission of Inquiry is of no legal effect and will not bind SADC and its institutions”. February 2016 – Democratic Congress (DC) leader Pakalitha Mosisili says some members of his party were holding secret meetings with the opposition All Basotho Convention (ABC) and plotting to form a coalition government. The prime minister, who made the remarks while opening the DC’s elective conference in Ha-Foso on 30 January 2016, also took a swipe at party members who believe he no longer appealed to the electorate because he was now too old. “My responsibility is to also warn you, my fellow party members, of the danger that would befall you, a danger that would come to our party if we do not listen, if you do not depart from your deeds that are wide off the mark,” Dr Mosisili said. May 2016 – Prime Minister Pakalitha Mosisili warns members of the Lesotho Mounted Police Service (LMPS) against dabbling in party politics. Dr Mosisili said any officer who wants to be in active politics should leave the LMPS first to avoid tarnishing the image of the service. The prime minister, who was speaking during a pass-out ceremony for 246 recruits at Police Training College, said engaging in party politics affects the officers’ ability to perform their duties impartially and professionally. July 2016 – Prime Minister Pakalitha Mosisili insists the SADC Commission of Inquiry’s recommendations were not binding on Lesotho, adding the regional bloc’s Double Troika Summit held in Botswana this week only urged the government to fully implement the SADC Observer Mission to Lesotho (SOMILES) report. July 2016 – Prime Minister Pakalitha Mosisili criticises “shallow analysts” who say Lesotho does not need an army, insisting the Lesotho Defence Force (LDF) has contributed immensely to the development of the country under the command of Lieutenant-General Tlali Kamoli. July 2016 – The Koro-Koro constituency of the Democratic Congress (DC) gives Prime Minister Pakalitha Mosisili an ultimatum to reinstate party youth leader Thuso Litjobo to his position as Police Minister Monyane Moleleki’s personal aide or face a revolt. Mr Litjobo was relieved of his duties earlier in July 2016 ostensibly because of his public tongue lashing of women’s league leader Dr ’Matumelo Pontšo Sekatle who he accused of working with “outside forces” to destroy the party. He also accused Dr Sekatle of despising the party’s deputy leader Monyane Moleleki, which he said was “the root cause” of the internecine strife in the DC. July 2016 – Democratic Congress (DC) leader, Prime Minister Pakalitha Mosisili warns rival factions they risked destroying the party from within and scuttling the alliance with the Lesotho Congress for Democracy (LCD) by continuing with their feuds. In a lengthy statement addressed to all DC structures, Dr Mosisili also quashed rumours he intended to defect to the LCD to give the premiership to the party’s leader and Deputy Prime Minister Mothetjoa Metsing, saying the position belonged to the DC as agreed in the governing parties’ Coalition Agreement. The DC leader’s remarks came in the wake of unprecedented infighting in the party, with senior officials aligned to opposing factions trading insults on various media platforms. July 2016 – Prime Minister Pakalitha Mosisili lashes out at the media and civil society organisations for creating “confusion” over Lesotho’s security challenges. Officially opening a two-day Security Sector Reform workshop in Maseru, Dr Mosisili said people who knew “absolutely nothing” about the operations of the security sector were masquerading as experts and making statements they were not qualified to issue. September 2016 – Democratic Congress (DC) leader, Prime Minister Pakalitha Mosisili, warns rival factions they risked returning the All Basotho Convention (ABC) to power if they scuttled the coalition alliance with the Lesotho Congress for Democracy (LCD). Addressing a DC rally in Butha-Buthe on 4 September 2016, Dr Mosisili said he “pitied” the party’s supporters because their division was bringing the ABC closer to power. “I pity you because the ABC is going to rule over you. And you will be running helter-skelter (from their wrath)! Let he who has ears hear!” he said. September 2016 – Prime Minister Pakalitha Mosisili warns exiled opposition leaders and Members of Parliament (MPs) to return before parliament reopens on 7 October this year or risk losing their seats. Addressing thousands of coalition supporters who participated in a march meant to show “full solidarity” with the government in Maseru on Sunday, Dr Mosisili said the opposition MPs would be well-advised to end their boycott “for their own good”. October 2016 – A group of political activists who organised the 18 September 2016 march to show support for the Prime Minister Pakalitha Mosisili-led coalition called for the ouster of Police and Public Safety Minister Monyane Moleleki for allegedly undermining the government through “reckless public utterances”. Mr Moleleki who is also Dr Mosisili’s deputy in the Democratic Congress (DC) party boycotted the march and chose to address a rally in his Machache constituency on the same day. Mr Moleleki used the rally to denounce the march organisers and also raise allegations of corruption in the award of the vehicle fleet service tender to Bidvest Fleet Company by DC treasurer and Finance Minister Dr ’Mamphono Khaketla. November 2016 – Prime Minister Pakalitha Mosisili reiterated his stance that congress and nationalist parties are like oil and water that do not mix in a sly dig at his Democratic Congress (DC) deputy Monyane Moleleki. In his first response to Mr Moleleki’s political maneuverers, Dr Mosisili said “a certain highly-placed official within the DC” had been calling on congress and nationalist parties to unite. The remarks, which the premier made during a constituency gathering in Ketane, were clearly aimed at Mr Moleleki who has vowed to work towards unifying Basotho and “bring to an end the polarisation that crippled the nation’s institutions”. November 2016 – THE youth leagues of two parties in the governing coalition, including Prime Minister Pakalitha Mosisili’s Democratic Congress (DC), joined their opposition colleagues in demanding the premier to step down “with immediate effect”. In an unprecedented escalation of the infighting that has effectively split the main coalition partner, the DC and Lesotho People’s Congress (LPC) youth leagues urged Dr Mosisili to quit “for failing to uphold the rule of law and protect jobs”. November 2016 – The battle for the control of the Democratic Congress (DC) scaled new heights with the party’s National Executive Committee (NEC) serving notice on leader and Prime Minister Pakalitha Mosisili to attend a hearing this afternoon to show cause why he should not be suspended for alleged misconduct. The party is split into the Lithope (loosely translated to mean girlfriends) and the Lirurubele (butterflies) factions with the former throwing its full weight behind Dr Mosisili while the latter crystallised around deputy leader Monyane Moleleki. November 2016 – With a split in the Democratic Congress (DC) all but a certainty, the battle for the ownership of the party has begun in earnest with Prime Minister Pakalitha Mosisili lodging an urgent High Court application to compel 10 National Executive Committee (NEC) members to hand over party symbols. Dr Mosisili also sought an endorsement by the court of his suspension of the 10 NEC members aligned to deputy leader Monyane Moleleki, who in turn have also suspended him as party leader.